Out of nowhere, one woman's previously-mild eczema symptoms spread to her face. Here's how the uncomfortable skin condition helped her appreciate what's really important in life. This writer is part of Health.com’s contributor network. Learn more about the contributor network and how to join. 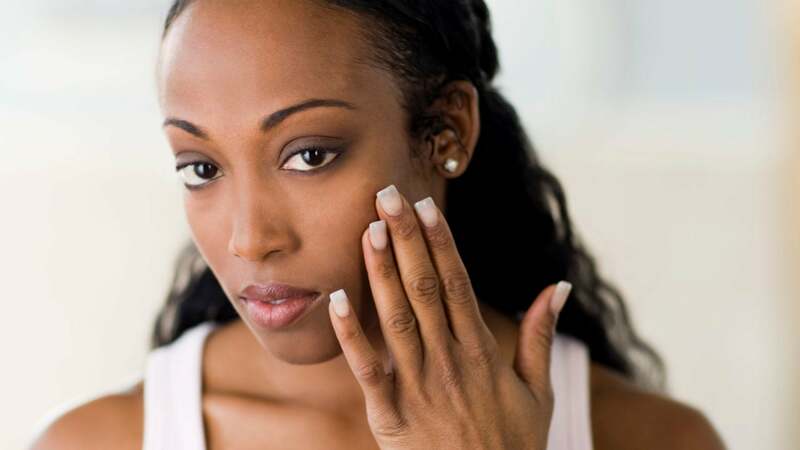 I have had eczema since I was a little girl, but it was never terribly debilitating. I had some scratches on my neck, arms, and legs, but I never thought too much of it. And I was lucky to have clear skin on my face. Other than a pimple here or there, my complexion was generally even and bright, and I never needed to use foundation. That all changed this past May. Perhaps triggered by a combination of poor diet and taking too many medications, my eczema finally reared its ugly head in full force. Despite never having had facial eczema before, I started experiencing symptoms around my eyes—within the next few months, it would consume my entire face, neck, arms, and upper legs. I ended up visiting countless doctors, starting a clean diet, and buying every product out there that claimed to be eczema’s miracle cure. I wish I could tell you that I’m now free of eczema symptoms, but I have a long ways to go. My face is still bright red, raw, and itchy. My legs and neck have inflammation, and I struggle to wake up every day feeling happy and healthy. Did my skin issues make me feel down about myself at times? Sure. But succumbing to that way of thinking only made me more depressed. What has helped: understanding that my struggle with eczema is actually key to appreciating my life even more. Here, five ways the skin condition has helped me gain perspective and live a more fulfilling life. 1. I care less about looks. In the past, I couldn’t leave the house without eye makeup. In fact, I can’t remember a time when I was able to confidently go outside without my trusty eyeliner. Now? I truly feel beautiful without makeup. Even when my facial eczema completely clears—which I know it will—I plan on wearing a lot less makeup than I used to. I’m finally comfortable in my own skin. 2. In a strange way, I’ve become more confident. During my worst flares, when my face was red and sore, I found that I actually felt empowered. Sure, I cried and felt ugly at first. But I found strength from within to muster up the courage to continue my day. Once that happened, I felt like I could take on anything. 3. I became more empathetic. As cliché as it might sound, I’ve realized that everyone is fighting their own battle. Sure, mine might be more noticeable, but I’ve become more understanding that no one’s life is all peaches and sunshine. 4. I focus more on health. I admittedly used to eat way too many cookies, cake, fries—you name it. As a result, I was constantly fatigued, no matter how many hours of sleep I got. Since improving my diet by cutting out unnecessary sugar and consuming more leafy greens, I feel more alive. Another plus? I lost 10 pounds. 5. I know who’s there for me. I didn’t always handle my eczema well—I avoided seeing people, I worked from home, and I didn’t want to look my boyfriend in the eye. But the experience has helped me realize who truly loves me for me. My boyfriend, for example, continues to tell me I’m beautiful every day. So what if other people want to make comments or stare? They don’t matter. Have eczema, psoriasis, acne, or another condition messing with your confidence? Know that you’re so much more than your skin, and you can’t let it tell you how worthy you are. Do I still struggle with myself? Of course. But I now know that it will always get better.